The Silver Dollar Fish (Mylossoma sp., possibly M. duriventre) gets its common name because it resembles the famous silver dollar coin of the United States. In Peru, this fish is commonly called Palometa. This species is a popular catch among fishermen, and indeed, tastes quite delicious! 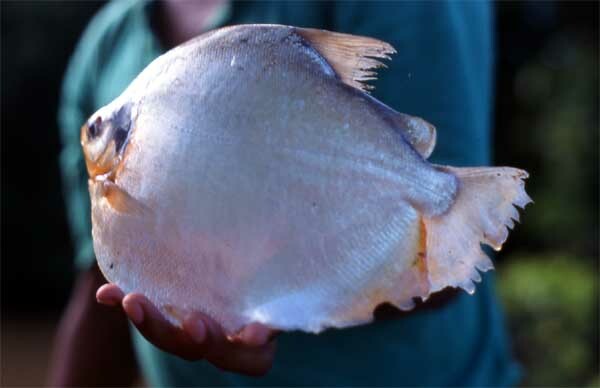 Although related to piranhas, it is harmless and feeds on small fish, insects and plants. Some hobbyists in the U.S. keep the silver dollar fish in aquaria.